Whenever you can integrate social media marketing efforts, you can save time and money while increasing your reach and establishing a stronger brand presence. One way to integrate your efforts is to use Facebook to help build your followers on Pinterest. Ideally you will continue to build your following on Pinterest because the bigger your following the more effective your marketing efforts will be. One of the issues with being able to cross promote and get followers to join both your Pinterest page and Facebook business page is that while you do have the option of linking your Pinterest account to Facebook, this does not automatically go to your Business Facebook page and this is where you want to be able to get followers from. In order to do this, you can go to Woobox and create a Pinterest tab for your Facebook Business Page that will help users learn that your business is also on Pinterest. 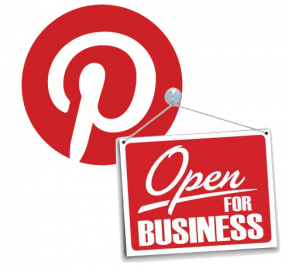 Another way to get Facebook followers to also start following your business Pinterest page is to post status updates that promote your activity on Pinterest. Sharing a direct link to an interesting image that you’ve posted or new Board you’ve began is a sure way that Facebook followers can easily click through and begin following your Pinterest account. If you add a promotion or contest, this will further encourage them to follow your Pinterest page. Many businesses are asking customers to post images to their own Pinterest Board along with a particular hashtag so the image can be found and repinned to a Board on your own Pinterest account. You can then share those images and keep the contest exciting for more Facebook followers to want to join your Pinterest page. As you are building your Pinterest following, you can also use those posts to engage Facebook followers that do not have Pinterest accounts because the can engage with your Pinterest content directly on Facebook. This means you will have the opportunity to cross promote instead of having to come up with separate campaigns for each social media site. You might think that followers that are active on both of your Facebook page and your Pinterest account might get tired of duplicate content, that is not the case because many times posts are not even seen because they end up at the bottom of user’s feeds. Being able to engage with them at multiple sites will increase the chances of exposure.